A Healthy, One Ingredient Treat. It’s Real Organic Coconut! A Safe & Natural Alternative to Over-Processed Pet Treats. Supports Digestive and Intestinal Health. Nothing Artificial. No Dyes. No Preservatives. No By-Products. Find Dr. Harvey's at more than 427 stores. Enter your zip code below. 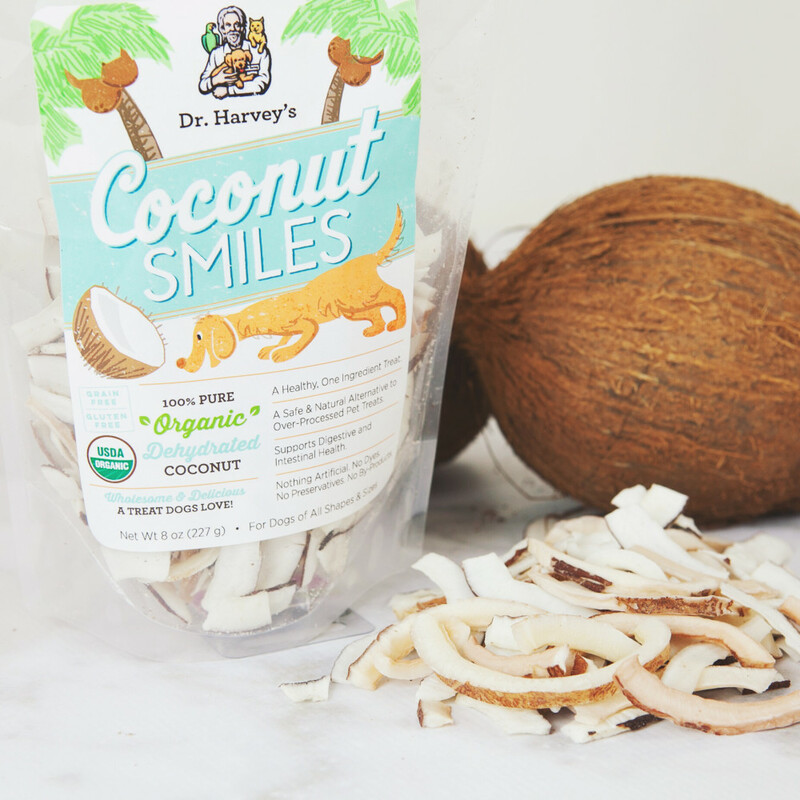 Dr. Harvey’s Coconut Smiles are a healthy and delicious treat made with just one ingredient – organic dehydrated coconut. Coconut is regarded as a ‘superfood’ because of its countless health benefits. 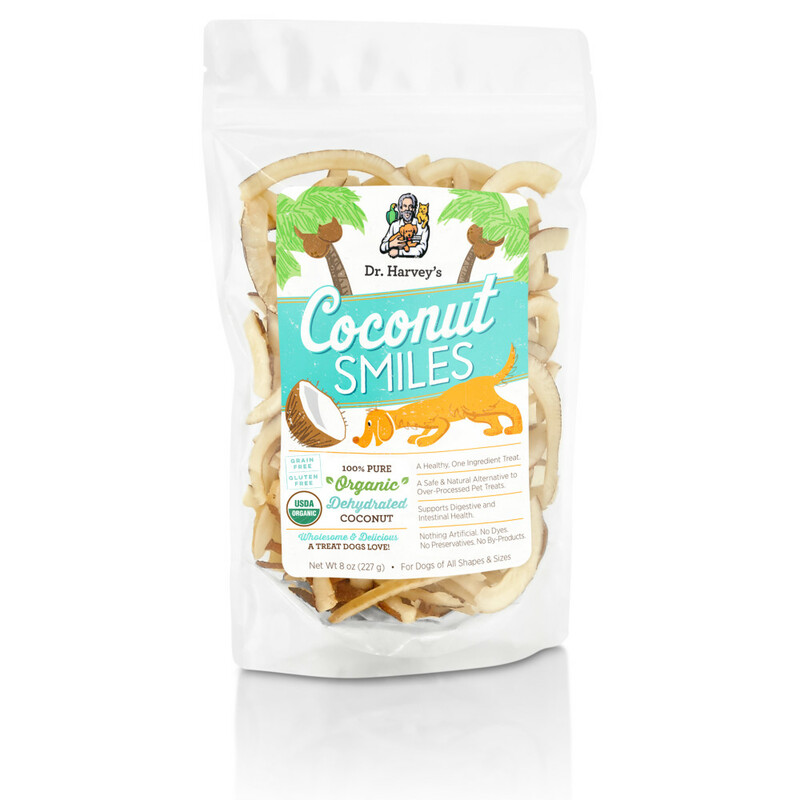 Coconut Smiles are chock-full of powerful nutrients and rich in fiber to support digestion. Our coconut is of the highest quality, sourced directly from farmers, cultivated sustainably and in accordance with fair trade practices. 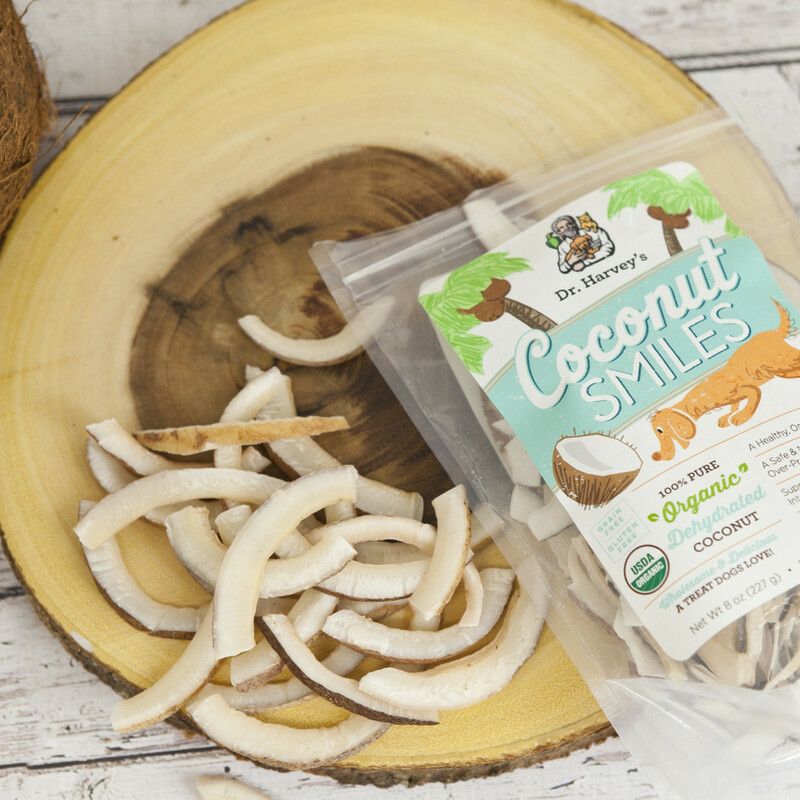 Your best friend deserves the very best and this coconut treat is sure to make your companion dog smile. 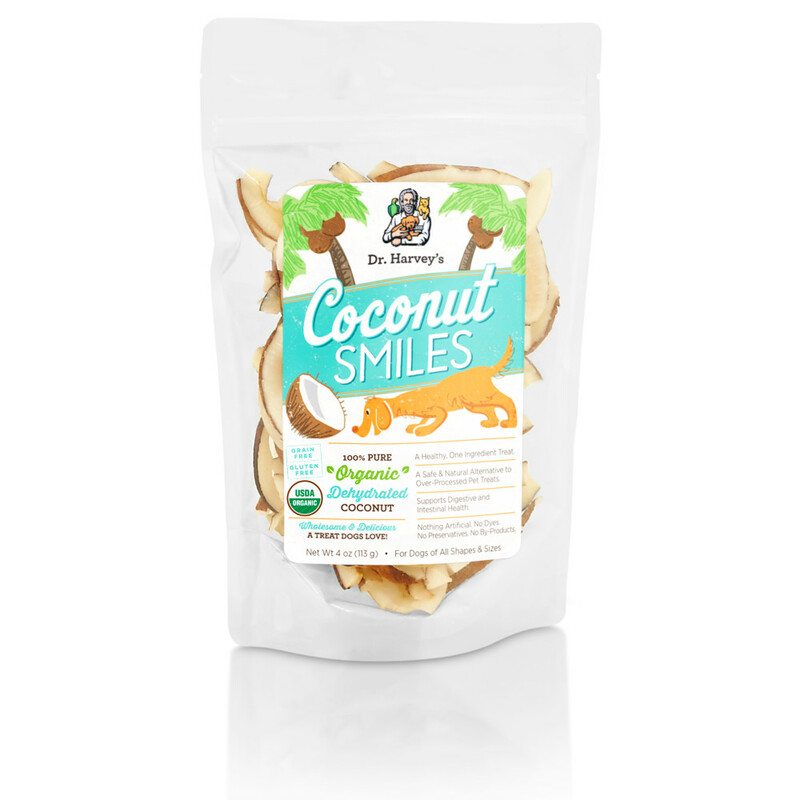 Give Coconut Smiles as a treat or training reward to your companion dog. As a safety precaution, observation is recommended when giving your dogs treats. Make sure fresh water is available all day.